Throughout history, the best data visualizations have served as the public’s window onto a complex world. 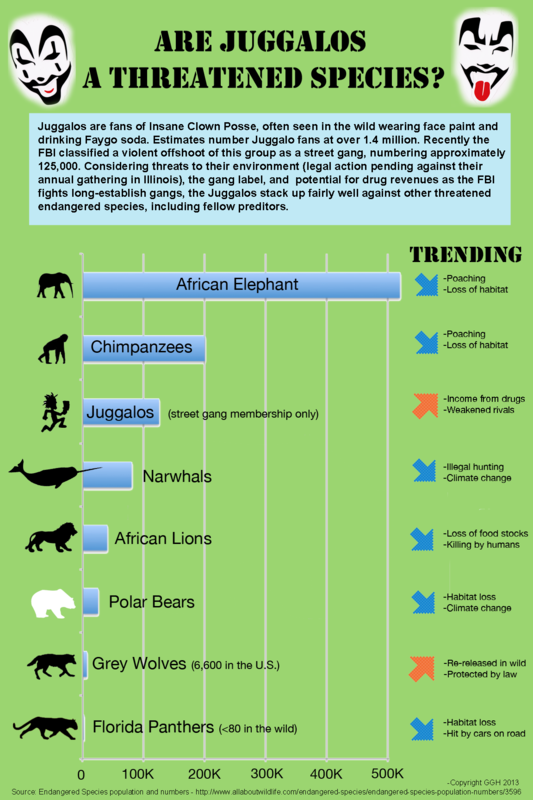 In a time when everything from the endangerment of the Juggalo to Carrie Bradshaw’s shoe collection is turned into a clever little chart, it can be easy to dismiss infographics as trendy and inconsequential. But since ancient Greece, the best data visualizations have furthered popular understanding of science, serving as the nonacademic public’s key to knowledge. Some vintage infographics were even used as political tools, effecting social change through educational campaigns. Beautiful Science: Picturing Data, Inspiring Insight, now on view at the British Library, takes us through the history of data visualization, focusing on themes of public health, weather, and evolution. From a millennia-old illustration of the “Great Chain of Being” to a 2008 NASA animation of the oceans’ currents, we see how data visualizers have always sought to turn dense and impenetrable scientific information into accessible, beautiful images, using good design to make learning smoother. This unusual map of 1685 illustrates ocean currents as understood at the time based on the observations of explorers and mariners. Even infographics that spread the incorrect theories contributed to modern data-driven research methods. Most of us know Florence Nightingale as the founder of modern nursing, but she was also a cutting-edge statistician and the first woman to be elected into the Royal Statistical Society. With her seminal “rose diagram,” Nightingale demonstrated that far more soldiers died from preventable epidemic diseases and poor hospital conditions than from wounds inflicted on the battlefield during the Crimean War of 1853-56. In an effort to drive through health reforms, she printed the diagram on pamphlets and distributed them to politicians and anyone else who would listen. Some of these vintage infographics are still distributed for scientific purposes. “Data that is centuries old from collections like ours is now being used to inform cutting edge science,” Dr. Kieniewicz said in a press release. The British Meteorology Office still uses information from log books on East India Company clipper ships to test their climate models, the idea being that to understand weather patterns of the present, they need to understand patterns of the past. In these diagrams, epidemiologist and statistician William Farr plotted cycles of temperature and cholera deaths for 1840-50. Today, the visually minded among us often rely on mesmerizing visualizations as windows onto the complex world of science. Data about ocean currents sounds like a snooze until you see it stunningly animated by NASA. And you might not care about how genetically similar you are to opossums and chickens until you look at the “Circles of Life,” an infographic that resembles an abstract painting of rainbow gingko leaves. That they fuse both knowledge and beauty into one engaging package is what makes the well-researched, well-designed data viz so valuable in this age of information overload and total visual noise. Beautiful Science: Picturing Data, Inspiring Insight is on view at the British Museum until May 26.